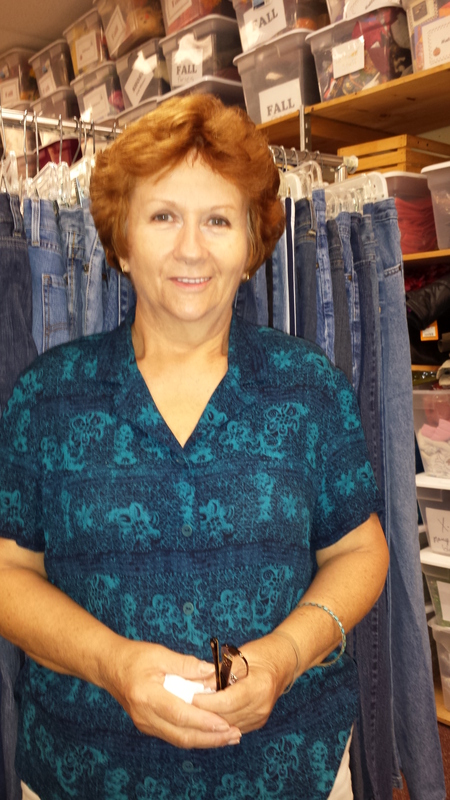 PLEASE MEET OUR NEW DONATIONS MANAGER, BOBBIE KARCHER. Every time Tabitha’s House has a need, inevitably the Lord provides! Not always as quickly as we’d like…..but Always Perfectly! The Lord has yet again made his perfect provisions w ith our new Donations Manager, Bobbie Karcher. Many of you have already met Bobbie when you were dropping off your donations. She has been assisting our donors since she started volunteering at Tabitha’s House, in January of this year. Bobbie always has a smile on her face and never hesitates to go above and beyond, to assist anyone in need. So with all of that being said, we can’t really welcome Bobby to the family, because she’s been a wonderful addition to our family for almost a year. However, we can say that we are very happy and excited about your being here and we sincerely Thank You for everything you do! $10.00 Manicure – Tuesday September 2nd. Please Call for Appointment. WE WOULD LIKE TO WELCOME THE NEWEST ADDITION TO THE TABITHA’S HOUSE FAMILY. 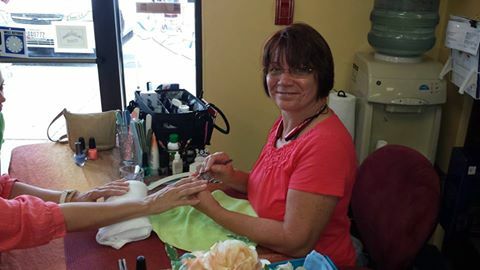 PATTY IS A LICENSED MANICURIST & IS DONATING HER TIME BY SPOILING EVERYONE WITH MANICURES. SHE WILL BE HERE TUESDAY, SEPT 2nd & THERE ARE STILL A FEW APPOINTMENTS LEFT. THE COST IS SIMPLY A $10.00 DONATION TO BENEFIT TABITHA’S HOUSE. THAT’S RIGHT! 100% of ALL PROCEEDES GO DIRECTLY TO SUPPORT AREA FAMILIES IN NEED! PLEASE CALL 410-877-9730 TO SCHEDULE YOUR APPOINTMENT. THRIFT STORE & DONATION AREA CLOSED SATURDAY AUGUST 30, 2014. Tabitha’s House will be CLOSED Saturday August 30th, 2014 for the Labor Day Weekend. We are sorry but Donations cannot be accepted that day, as all of our staff & volunteers will be enjoying the holiday with their families. Please visit us when we reopen on Tuesday, September 2nd. Have a Safe & Happy Labor Day! WE HAD SO MUCH…..WE’RE GONNA DO IT AGAIN!!! SINCE WE HAD SO MUCH FUN IN MARCH…WE’RE GONNA DO IT AGAIN!!! TABITHA’S HOUSE WILL BE HOSTING AN APPLEBEE’S FLAPJACK FUNDRAISER BREAKFAST AT THE CHURCHVILLE LOCATION. YOU CAN HELP LOCAL FAMILIES IN NEED, WHILE ENJOYING A HOT, DELICIOUS BREAKFAST WITH FRIENDS. SO BRING THE FAMILY & BE PREPARED TO HAVE A GOOD TIME! TICKETS WILL BE AVAILABLE SOON, SO PLEASE SAVE THE DATE! 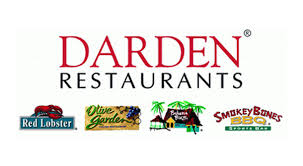 TABITHA’S HOUSE WOULD LIKE TO THANK DAREN RESTAURANTS FOR THEIR GENEROUS DONATION OF $1,000.FOR THE SECOND STRAIGHT YEAR. WE WOULD ALSO LIKE TO SEND A SPECIAL THANK YOU TO THE RED LOBSTER BEL AIR AND THE MANAGMENT AND STAFF WHO CONTINUE SHOW THEIR SUPPORT TO OUR COMMUNITY OUTREACH ORGANIZATION. 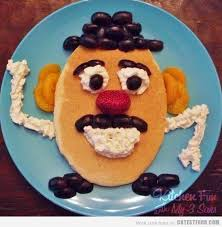 JOIN US FOR OUR ANNUAL FLAPJACK FUNDRAISER BREAKFAST AT APPLEBEE’S CHURCHVILLE. YOU CAN HELP LOCAL FAMILIES IN NEED, WHILE ENJOYING A DELICIOUS HOT BREAKFAST WITH FRIENDS. SO BRING THE FAMILY & BE PREPARED TO HAVE A GOOD TIME! TABITHA’S HOUSE IS CURRENTLY SELLING MIDDLECREEK CANDLES. THEY SMELL JUST AS DELICIOUS AS THEY LOOK AND THEY MAKE THE PERFECT HOLIDAY GIFT! 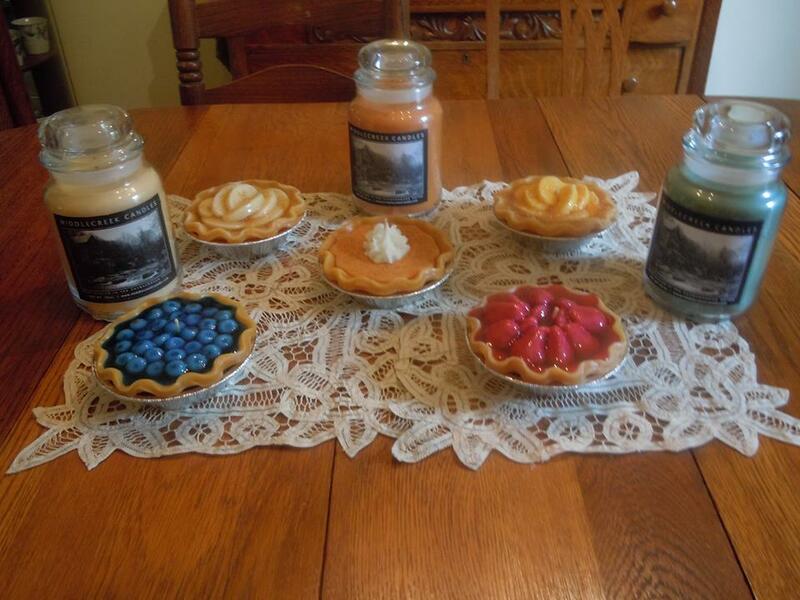 SO STOP BY TODAY TO CHOOSE JAR CANDLES IN 22 DIFFERENT SCENTS & PIE CANDLES 5 SCRUMPTIOUS VARIETIES. THANK YOU TO EVERYONE THAT CAME OUT TO SUPPORT OUR IRONBIRDS FUNDRAISER!!! Volunteer Now. It Feels Good! Volunteer opportunities are always available. CLICK HERE for more information. We’re almost up and running at full steam with our new website. Thanks for your patience as we work out the kinks. BEAUTIFUL PROM GOWNS NOW ON SALE! Thank You For Your Continued Support…..See You In 2019!!! We'll notify you IN ADVANCE about upcoming specials and events. Thanks!